As the chill in the air envelopes us, we dream of warm destinations where we can relax and enjoy the warmth of the sun. I think back to my travels to Barbados. My first visit to the magical island was remarkable, as I felt like a princess! The people were so warm and welcoming! 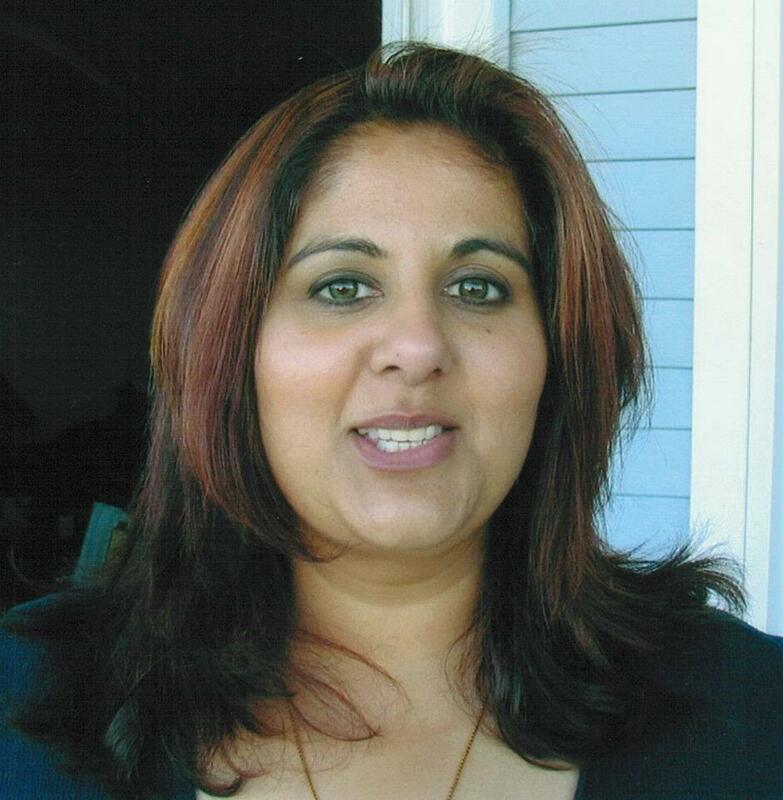 I remember having a cooking demonstration with a local woman who wanted me to see how she made curry! The best part of Barbados is the people… continuously smiling! I am happy to say that Barbados understands wheelchair accessibility, and as mobileWOMEN, access is a priority. Barbados has made vacationing easy by creating an initiative that places them in the lead for ‘inclusive’ vacations for anyone with a mobility challenge. The Fully Accessible Barbados ‘FAB’ program is an initiative of the Barbados Council for the Disabled. This program recognizes the importance of accessibility in order to achieve the truly inclusive society, which is part of our vision. FAB enlisted the support of a number of key stakeholders. These include representatives from tourism, education and other service related sectors. Moving forward, the program will require even greater support in order to achieve its stated objectives. The support therefore of the United Nations, the Ministry of Tourism, the Ministry of Social Care, Constituency Empowerment and Community Development and other related agencies is critical as FAB is based upon the principles enshrined in the recently ratified Convention on the rights of Persons with Disabilities. With the UN’s backing in terms of project direction and the ability to convene other members of the community, the Fully Accessible Barbados has a strong future. The achievement of any long-term goal is never easy; changing the landscape of an entire community is a monumental and somewhat daunting task. The realization of the goals and objectives for the Fully Accessible Barbados program encompasses a dream to see a Barbados which fully appreciates the needs of its citizens and visitors with challenges. Fully Accessible Barbados encourages all persons to act now and make a difference for yourself, your country and the entire human race. Barbados is a coral island, pushed out of sea by volcanic activity in a faraway time. 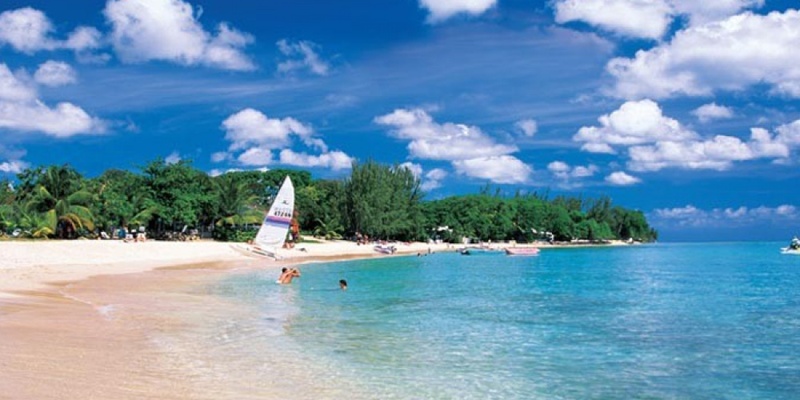 On the West Coast of Barbados, coral shore beaches of fine white sand stretch along a blue-green sea. Coral reefs fringe the Barbados shoreline to provide excellent snorkeling and Scuba Diving. Along the East Coast, a lively surf is blown briskly by the strong and constant trade winds and the waves pound against a rocky shore. 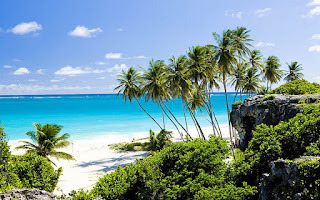 The constant breeze of the trade winds gives Barbados a mild and pleasant tropical climate. When you visit Barbados, you will see it is mostly a flat coral island with excellent beaches, but there are rolling hills and many deep ridges and gullies, with an interesting distribution of flora and fauna. Within the Barbados coral core there is a vast array of caves and underground lakes which provide an excellent supply of drinking water that is amongst the purest in the world. 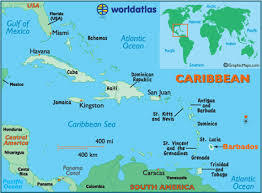 Geologically, Barbados is unique, being actually two landmasses that merged together over the years. This and other anomalies make this Caribbean Island quite phenomenal, and there are geological structures that you will find only in Barbados. One of the most distinguishing features of Barbados is its relatively flat terrain. It's the region's only non-volcanic landmass. But once you're here, you'll soon discover Barbadian life is far from flat. From the rugged beauty of its rocky eastern shoreline, to the calm, serene waters of its "Platinum Coast," Barbados packs plenty of punch into 430 sq. km of Caribbean paradise. While the island's 350-plus churches are filled to the brim come Sunday morning, Barbadians still know how to have a good time, as evidenced by a thriving nightlife scene and a full calendar of festivals. Steeped in English tradition while embracing its historic past, Barbados is often characterized by the welcoming warmth of its proud and confident people. The island's rich heritage is complemented by its international flair and sophistication – a combination that makes it one of the most diverse destinations in the Caribbean. Accommodations here are as diverse as the choice of island experiences. From the elegant surroundings of the most popular luxury properties in the Caribbean to family-oriented properties and romantic retreats, you're bound to find a space perfect for you, nestled by the turquoise coves of Barbados' west coast. But Barbados' appeal goes far beyond its golden attributes of sea, sand and sun. The island serves as a beacon for history buffs, adventure-seekers and those simply looking for the peace and tranquility of a Caribbean vacation. Barbados is a great place for duty-free shopping, with global suppliers vending their wares at prices that typically run between 30 to 50 per cent below North American retail prices. In the capital city of Bridgetown, you’ll find the best jewelry shopping along the main thoroughfare of Broad Street. High-end jewelers found here include: Diamonds International, Little Switzerland, Colombian Emeralds International, Cave Shepherd, Milano, Harrison’s and many more. Depending on the size and circumstances of your purchase, arrangements can even be made to have your goods delivered straight to the airport on your departure date. When shopping for duty-free items, you must present your passport or airline ticket in order to be eligible to make purchases. With more than 1,500 rum shops on the island, rum is undeniably a major part of Barbadian history, culture, geography, and of course, the economy. It’s also a great way for visitors to take home a bit of Barbados in a bottle. While Mount Gay’s award-winning collection of rums can be bought almost anywhere on the island, the Mount Gay Distillery’s rum store sells premium brands at very good prices. For a truly special rum purchase, try St. Nicholas Abbey’s own handcrafted rum, aged to perfection in bourbon barrels on the estate. Decorative bottles of 10-year-old and 12-year-old rum can be purchased at the Abbey. Housed in a former 19th-century British military prison at the Garrison, the Barbados Museum and Historical Society is a must-see – and well worth the US$7.50 admission (half price for children). The museum takes visitors through the key points of Barbados’ history via natural history displays, Amerindian objects, historical maps and a genealogy reference library. Children get a glimpse of what life was like for young Barbadians in the Yesterday’s Children gallery, which provides an educational step back in time. 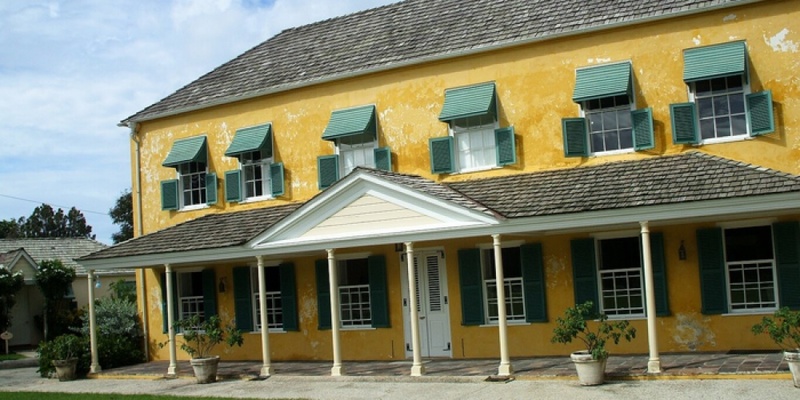 Other exhibits include replica furnishings from an 18th-century plantation house, as well as a gift shop featuring West Indian literature, arts and crafts and handmade jewelry. The museum is open Monday to Saturday, from 9 a.m. to 5 p.m., and Sundays from 2 p.m. to 6 p.m. When the Bath facilities were re-opened, Barbadians were thrilled to find what a beautiful restoration had been carried out at one of our country’s most popular beaches. Among those whose spirits soared on seeing its inclusive design are Barbadians with disabilities – especially those with mobility challenges. Spacious bathroom and shower facilities for the wheelchair users were among some of the newly installed fixtures along with the beautifully crafted and very accessible gazebo. 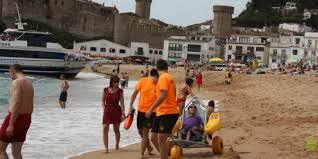 Sun, sea and sand for all! With cricket being so dear to a West Indian heart, the administration of Kensington Oval has ensured that cricket will be accessible to all! With ramped access to all stands, Wheelchair users can sit among their friends on several levels with a fully accessible bathroom just a few feet away. Highly trained volunteers are on hand to assist wherever necessary all cricket enthusiasts with special needs. The Hearing Impaired is also included with close captioning on television screens and the Loop system to work with T-coil hearing aids. Crickets will forever be being accessible at the KENSINGTON OVAL for everyone. Parts of our history which connects Barbados to the United States can be experienced at this refurbished plantation building which was home to “the first father of the US’ George Washington and his ailing brother for two months. Clear pathways and entrances make access very easy to view the rooms on the ground floor, which captures most of what this site has to offer. George Washington House is a truly inclusive and memorable visit. If you are craving some warmth and relaxation without worrying about ‘how to’ or ‘what if’, I urge you to consider this amazing spot in the world- you will not be disappointed! One of the many fully accessible resorts is the Radisson, which is synonymous with outstanding levels of service and comfort delivered with utmost style. At age 29, Tarita was diagnosed with Multiple Sclerosis- Struck with the realization that her life would never be the same. Knowing that her best way forward was to take hold of that life and ensure that its direction was one of her own choosing, that the MS was not going to control her future, she seized on a passion for travel she had nursed since childhood. This once Social Worker became an entrepreneur in an industry where she has been able to carve out a significant niche, based on a personal philosophy that travel should be Inclusive and not exclusive. Her company Travel for All takes great pride in ensuring that, regardless of your level of mobility or ability, you will have the experience of a lifetime. For more information about FAB, visit http://fullyaccessiblebarbados.com/. Also visit http://barbados.org/.